Putting the WOW factor into Science and Space! Due to popular demand, we have managed to book Andrew and his StarDome again this year. 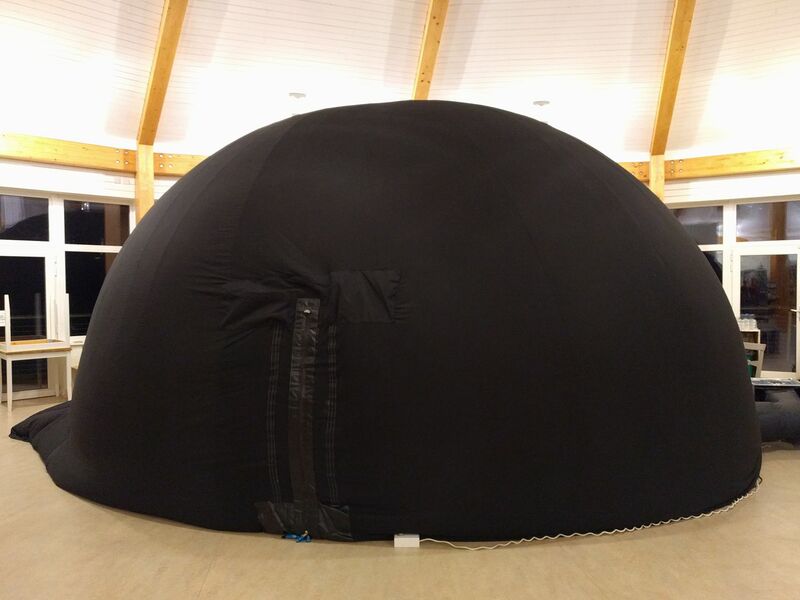 Join Essex Wildlife Trust, North Essex Astronomical Society and Andrew Green Director of the StarDome for an evening that will be truly out of this universe on Friday 20th April! The planetarium experience is one that people young and old alike will remember for many years. When the dome lights dim to a gasp from the audience you will see 3000 stars appear in a perfect night sky free from light pollution. If the weather permits NEAS members will be manning scopes so that the night stars can be seen on the evening too. Requested donation £10 per adult, £6 per child. Booking essential please call 01206 738172 to book your place or to find out more information. Refreshments will only be available to purchase in-between show times (so when the Dome isn’t in use). Please only arrive just before your session starts as the centre needs to be quiet when the Dome is in use.